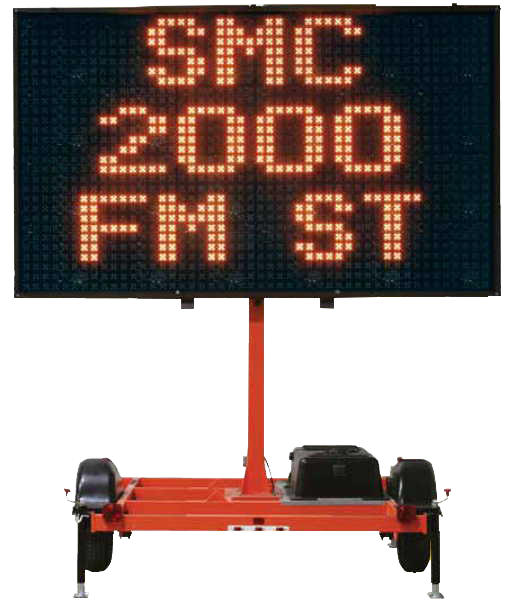 Full Matrix Message Board, Solar Matrix Message Boards from Trans Supply! The control box is lockable, and the battery box is made of steel. No need to worry about someone changing the message who shouldn't be, or stealing batteries. The continuous, full-matrix design allows for the display of messages using graphic symbols, text or both. Graphics are displayed at a typical 50-inch height while text messages are displayed using either 28" or 20" tall characters. Advanced LED technology is incorporated in this message board. The LEDs are directed under special optics, which enhances the light from each pixel and makes the message legible from far away - up to 1,400 feet away. The Full-Matrix Message Center has long-lasting service, it’s powered by deep-cycle batteries. The batteries are re-energized by a solar panel big enough to provide maximum charge capability. Only 2-1/2 hours of good sunshine are needed for a full day of operation, and 30 days of operation without sunlight are possible with this unit. This Message Board comes standard with 60 graphic symbols and 250 text messages in the system's memory. This means minimizing set up time, making the day to day operation of the unit easier. You can also hold 100 custom messages in this board. My supplier has put thousands of these Solar Message Centers in operation internationally since they were released. 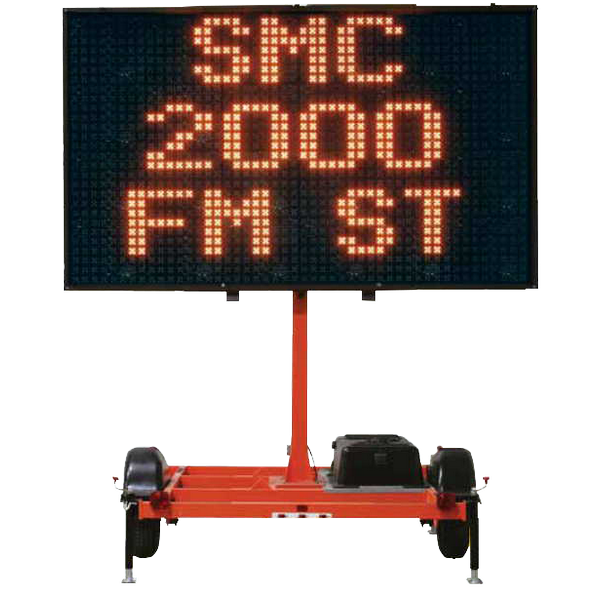 This Message Board is virtually unmatched in both reliability and performance. It really is an intelligent transportation information system. Lamp - Optically enhanced L.E.D.